Motorola and Verizon Wireless have announced the launch of highly-anticipated Motorola Droid 2 slider phone (the successor to highly-popular Motorola Droid), which Motorola promises to offer blazing-fast 1GHz processor, 512MB RAM, better QWERTY keyboard, full push corporate e-mail, intuitive social messaging, super-fast Web browsing experience and latest Android 2.2 platform with Adobe Flash Player 10.1 inside. 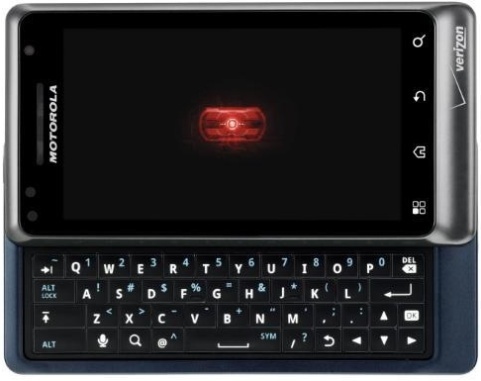 The latest ultra-slim Motorola Droid 2 full-featured smartphone will be available for pre-sale at Verizon’s official site starting August 11, scheduled to hit Verizon stores on August 12 for $199.99, after a $100 mail-in rebate with a new 2-year service contract. Verizon Wireless also plans to debut a special limited-edition (R2-D2) of DROID 2 by Motorola, which features an exclusive Star Wars content and an exterior designed to look like the trusty Droid from the film saga, expected to be available online in coming September.